Thanks to its made in Italy quality and to the absolute reliability of its range insured by Allianz group, today XXL MARMITTE ITALIANE is well-known as market leader and reference brand among the best manufacturers and wholesalers. 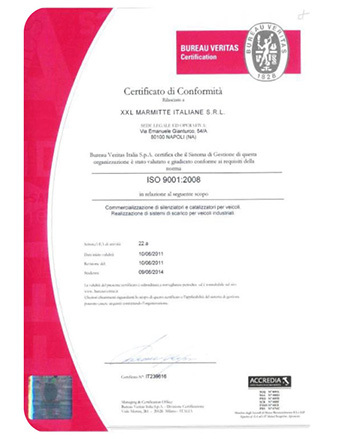 ISO 9001 Certificate, a series of international regulations , dealing with the quality management system aiming at assuring that the products are completely in compliance with the specific requirements. 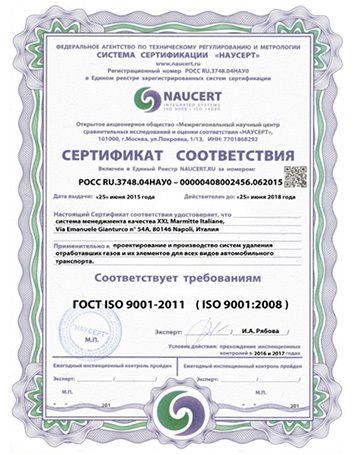 The GOST-R Certificate , the certificate assuring the quality of XXL products that are compliant with the regulations of the Russian Federation. XXL Company has now officially become a TecDoc “Certified Data Supplier”. 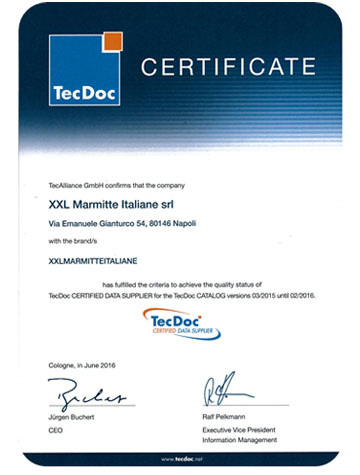 This means that all XXL Marmitte Italiane data meets the highest TecDoc Standards. 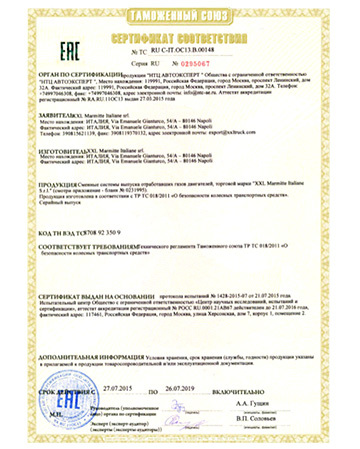 TR CU 018 CERTIFICATE, a document that guarantees the compliance of the products with all the security and quality standards, according to the Custom Union regulations, valid for Belarus , Russia and Kazakhstan.